Stunning Dimple Patel, a well-known model in the Indian fashion industry, was sent by Rubaru Miss India Elite Team. She stole many hearts at the Miss Globe 2016 finals on 23 November’ 2016 at the 25Expo City, Tirana, Albania, and succeeded the outgoing Miss Globe 2015 Ann Lorraine Colis of Philippines, from amongst the other ladies who were vying for the crown of the 43rd edition of Miss Globe. 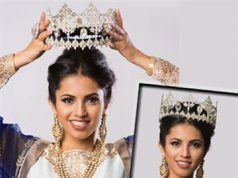 The stunning Indian model, an alumna of the R. D. National College in India, will empower culture, diversity, and inspiration in her new journey as a beauty queen. Q. Congratulations on being crowned as Miss Globe 2016! Did you expect to win the crown when you started on this journey? Definitely not till the time I was announced the winner. But yes from the very beginning, it was the hope, positivity and that zeal in me to give my best shot, which kept me going. The entire journey was a unique experience in itself and something that I would cherish my entire life. Q. Which of your qualities do you believe contributed towards this victory? Being an Indian in itself is a big qualification, as we have multiple cultures here and we practice unity in diversity… So it was pretty easy for me to be around people coming from different origins and culture… I got to meet a lot of people and made good friends. They all are such lovely people, I miss them all, it was like a big healthy family… and throughout the pageant I was just being myself, calm and poised.. Happily enjoying every stage of the pageant and not letting anything hamper my belief…. I think that’s something that constituted to my win. Q. Who has been your inspiration through this pageant journey? To be precise every person who represented our country till date on an international platform was an inspiration for me…it was a firsthand experience all together to be representing my country… I was happy, proud and nervous as the same time.. But back home, i had a lot of people cheering for me… My family, friends, my colleagues, Designers choreographers, photographers, makeup artists could see each one of them motivating me to win… I thank everyone for all the support.. Without your support this wouldn’t have been possible. Q. If you were to inspire someone, what would be your first word? Belief…. I would say just believe in yourself and this entire world is yours… It’s only your belief which will open u to the universe and help you accomplish and achieve the biggest goals. Q. How would you describe yourself as a queen? 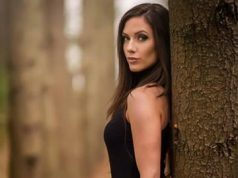 Before being a beauty queen, I am a human being… and I will make sure I always practice to be a good one by being helpful and kind to people throughout my life…. So for me, each one who holds such qualities and exhibits kindness towards all the living beings is the real queen or king, or I will say the real hero. Q. Would you like to share any special memory from you pageant journey? This entire pageant in itself is very close to my heart, as it gave me a chance to represent my country… For the first time in my life, I was being addressed with my country’s name than my own name… which is indeed a very proud and unique feeling and that was something that gave me that motivation, kept me strong and helped me give my best shot…..and yes I will always cherish every moment of this journey, the warmth of Albanian people, my fellow contestants…who became lovely friends… the breakfast, lunch the rehearsals every thing… I am completely overwhelmed with the fabulous treatment that I got from Deliart association. Q. Long hair is considered very beautiful. Were you afraid that, unlike other girls, you had short hair? Hair is for sure a woman’s most precious ornament. Often a lot of women get compliments for their hair… I think having good hair texture is more important than having long hair… Good textured hair can be always styled and groomed the way one wants to as per the face structure. I think short hair suits me and make me unique and different. In fact my hair made me stand out among the crowd, so I never really thought that way wherein I would feel less confident. Q. You look as if you were a naughty child.. Would you describe any prank or trick you had played during your childhood? Q. Besides winning beauty pageants, what has been your most cherished conquest? I wouldn’t take it as a conquest…. I would rather say it was a platform to unite with other nationalities… I know them, understand their culture which is a fabulous thing that one can ask for… And yes in our lives a lot of things turn to be conquest… but for me, I always believed in giving my 100 % and leaving the rest to God. Q. If you would wake up as another person, who would it be and why? It would be very disrespectful if I take the names of the legends who made such huge contributions to this world. I cannot even image to touch them. But yes I wish to walk on the path of the mother angel, Mother Teresa who served the poor till her last breath. I would be blessed if I can do something, if not much for the poor and needy, in whichever way possible. Q. What do you like the most about your country’s indigenous beauty? The most beautiful and amazing thing about my country is the multiple cultures here… The unity in diversity, this is one country where we celebrate Diwali, Ramazan, Christmas and Baisakhi, with the same spirit and this is one thing that makes me proud of my nation. Q. Which country do you believe has the most naturally beautiful women? I think women all across the world are equally beautiful, for that matter every human being possesses some or the other quality which makes the person beautiful. Q. What are your future plans, this year? For now, I am targeting on spreading the message of love and peace, and making some contribution towards saving girl child. I would be more than happy if I make any contribution towards enlightening people. In terms of my career, God has been kind. I might take up Bollywood (Indian cinemas) in the coming future. Q. What message would you like to give to your fans on Angelopedia?The only message that I want to give is – Please be kind to all the people around you. It’s only your kindness which may unknowingly contribute to help some needy around you in some or the other way, that too without you even realizing. Just a kind gesture may light up a smile on someone’s face.